Lateral Thinking: Is it Necessary for Creativity? Is Lateral Thinking Necessary for Creativity? Lateral thinking is such a familiar concept that it’s virtually synonymous with ‘creative thinking’. The phrase ‘lateral thinking’ is frequently used interchangeably with ‘creativity’. We take it for granted that creative people think different to the rest of us. It’s what makes them creative. The popularity of lateral thinking is testament to the creativity, productivity and promotional energy of its originator, Edward de Bono. For four decades, he has taught lateral thinking via his books, articles, lectures and consulting. De Bono has been a tireless advocate for the value of creative thinking, and he deserves credit for helping to push creativity to the forefront of the business agenda. Thanks to de Bono’s efforts, lateral thinking is now universally acknowledged as an essential skill for creativity and innovation. Psychology professor and creativity expert Robert Weisberg is highly critical of lateral thinking and claims it is unnecessary for creativity. He groups lateral thinking with psychologist J.P. Guilford’s concept of ‘divergent thinking’, since both approaches ‘have as a central idea that overcoming old habits (that is, being flexible, moving laterally), is the crux of creative thinking’. a number of detailed reports of scientific discovery, artistic creativity, and invention are available, including Darwin’s notebooks on the development of his theory of evolution, Watson’s report of the discovery of the structure of the DNA molecule, Picassos preliminary sketches for several of his most famous paintings, and Edison’s notebooks on the invention of the kinetoscope. These examples are covered in detail in later chapters [of this book], and nothing like divergent thinking is evident in any of them. Thus, although it seems reasonable to Guilford that producing many and varied ideas through “divergent” or “lateral” thinking ought to be a cornerstone of creative thinking, this idea does not seem to be correct. What is going on here? How on earth can Weisberg claim that lateral thinking is not ‘a cornerstone of creative thinking’? What Exactly Is Lateral Thinking? Lateral thinking is also concerned with breaking out of the concept presence of old ideas. This leads to changes in attitude and approach; to looking in a different way at things which have always been looked at in the same way. Liberation from old ideas and the stimulation of new ones are twin aspects of lateral thinking. Lateral thinking is not a substitute for vertical thinking. Both are required. They are complementary. Lateral thinking is generative. Vertical thinking is selective. The principles and techniques of lateral thinking are described in de Bono’s books New Think (1967), Lateral Thinking (1970) and Serious Creativity (1992). It is not easy to get outside a particular way of looking at things in order to find a new way. Very often all the basic ingredients of a new idea are already to hand and all that is required is a particular way of assembling them. The aim of the lateral thinker would be to try to find this right way of looking at the features of the problem. He would be made more aware of what was already implicit in what he knew. In this way the basic knowledge and expertise in a particular field could be fully utilized. For many years physiologists could not understand the purpose of the long loops in the kidney tubules: it was assumed that the loops had no special function and were a relic of the way the kidney had evolved.Then one day an engineer looked at the loops and at once recognized that they could be part of a counter-current multiplier, a well-known engineering device for increasing the concentration of solutions. In this instance a fresh look from outside provided an answer to something that had been a puzzle for a long time. The usefulness of an outside view of a problem is not only that special experience from a different field can be brought to bear but also that the outsider is not bogged down by the particular way of approaching things that has developed in those closest to the problem… Unfortunately expertise in a field does not by itself imply an ability to look at things in different ways; lateral thinking may be required for that. This example is typical of de Bono’s writing, in emphasising the superiority of a ‘fresh perspective’ and lateral thinking over ‘expertise’ and getting ‘bogged down by [a] particular way of approaching things’. For de Bono, the ability to think laterally is what distinguishes creative people from noncreative people. How Can You Be Creative without Lateral Thinking? Robert Weisberg argues that there is very little evidence of lateral thinking in the work of great creators such as Mozart, Beethoven, Darwin, Edison, Coleridge, Whitman and the Wright brothers. For him, the idea of extraordinary creative thinking processes is part of ‘the Genius myth’, in which creative achievers are placed on pedestals above the rest of us mere mortals. He argues that the creative process takes place via a process of logical thinking, trial and error, feedback and reflection – all of which involves ‘ordinary thought processes’ rather than lateral thinking. Whereas de Bono stresses the need to take off the ‘blinkers’ of past knowledge in order to look at things afresh and come up with new solutions, Weisberg argues that expertise and knowledge based on past experience are the foundation on which creators build. On the basis of this sort of example, de Bono recommends that in order to solve a recalcitrant problem, one should adopt a fresh perspective, in this case that of the engineer. That is … one is urged to break away from one’s knowledge. However, from the perspective of the engineer, there was nothing new involved: He was able to apply his knowledge relatively directly to the new situation he was presented with, because of a straightforward relationship between what he saw and what he knew. For the engineer, this response was just another example of recognising something familiar. … It is only from the perspective of the perplexed physiologist that there is anything requiring explanation in terms of creative thinking. … It is only when we examine the situation from outside, as an ignorant observer, that we feel the necessity to postulate basic differences between creative and noncreative individuals. That is, it may not be necessary to assume that creative individuals differ from the noncreative in any significant way, except for the knowledge they possess. So for Weisberg, creative people differ from noncreative people not in their use of lateral thinking, but in possessing different knowledge and skills. He does concede that analogies are important in creative thinking, but argues that these are typically ‘near’ (i.e. obvious) analogies rather than the ‘distant’ (surprising) analogies recommended by de Bono. To us, the analogy between kidneys and engineering may seem creative and surprising, but for the engineer it was obvious and mundane. In support of his argument that unusual thinking skills are unnecessary for creativity, he cites research showing a low correlation between high scores on creative thinking tests and actual creative performance. Weisberg also backs up his case with a mass of evidence (manuscript drafts, prototypes, notebooks etc) from the work of famous creators in the fields of invention, science and the arts. He deliberately includes detailed case studies of avant-garde artists such as Picasso and Pollock, to show that even their radically new creations did not involve extraordinary thinking processes. De Bono’s writings contain plenty of instructions on what he thinks we should do to improve our creativity. But although he mentions some impressive names along the way – such as Darwin, Marconi and Einstein – he offers nothing like the detailed evidence or analysis presented by Weisberg. So if we put de Bono’s writing side by side with Weisberg’s, the evidence for lateral thinking techniques being used ‘in the field’ by distinguished creators starts to look a little thin. What Do You Think of Lateral Thinking? Do you make use of lateral thinking techniques in your work? Do you agree that creative people ‘think different’ to the rest of us? Is it possible to be outstandingly creative without using lateral thinking? An interesting question, Mark, and it’s easy to find agreement in both sides of the debate. I’ve admired de Bono’s writing since I first picked up one of his books. In my line of work (graphic design), what I find of great importance is knowledge of the industry you’re working within. For instance, if I’m creating work for a wine producer, I need to know as much as possible about wine. If it’s work for a photographer, knowledge of photography is vital. The more I know about certain processes, the more ideas I can exhaust before choosing the most effective one. This seems like an obvious methodology, and whether it can bring about any ‘new’ ideas is open to debate. For instance, what I’m looking at, over and over, is what’s already there. This is all we have to go on, so can any idea actually be ‘new’, or is what others see as something different simply a mix of the old? Thanks David. Weisberg would probably say your thorough research puts you on exactly the right track. One of his themes is that the more we know about a problem or situation, the more creative we are likely to be. And the success of your logo designs suggests that something new and valuable does in fact emerge from this process. Sounds like how I work — Load myself up with a ton of information and just brute force it until I’ve come up with a workable idea. I am of the meagre opinion that there is room for both and ironically both de Bono AND Weisberg are perfect examples of the their individual theories! Maybe this is the answer – that we are wired in certain ways and we will use that wiring to get to where we need to go as individual creative types. For many creative types though, we are quite frankly too involved in our individual creative expressions to care too much about which is right or wrong. It is more about finding the way that suits us and then using it.We are more likely to ‘change horses midstream’ if we are feeling in a rut, dried up or doubtful about our abilities. Like having a dominant hand, we may have a dominant creative thinking style. I write both poetry – which is a highly ‘intuitive’ and conscousness style of writing and also write training manuals which requires research, developing a stronng structure and basing the work on extremely left brain skills. More than anything else I think creative types are opportunistic. It is like we look through lenses or hear sounds that are either missing or not captured by those around us and wonder why others can’t see it or hear it in the way we do. When a creative type follows their inspiration to the end and produces something – it tends to fill the gap or the opportunity that we saw in the beginning. 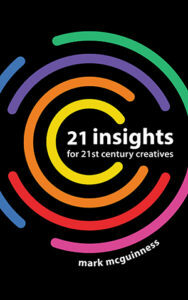 So are we lateral or simply creative? Why can we not be both? De Bono wrote one good book about 40 times, a better capitalist than thinker. Sounds like an artificial term to account for one result—out of the box methods and results—of thinking. Just what we need, more terminology. And books about terminology. No wonder we accomplish so little, all caught up in researching process and, worse, what to call things, to actually create anything. From personal experience, as both a comedian and an accredited Lateral Thinking Trainer, I have come up with ideas in all the ways described above. To debate whether creativity is the result of a logical or a lateral thinking process is to miss the mark. Perhaps the most fundamental creative act occurs when we combine two previously unrelated concepts. And such a combination can occur when we are thinking either laterally or logically. (In fact, a lot of humour is just an extension of logic, but into the absurd.) Quite often we don’t know when that Ah-ha! moment is going to occur. It just occurs when it occurs. But a key aim of lateral thinking is to deliberately and systematically create those unrelated concepts and then force them together, to see where it takes us. However, when we are thinking logically, we tend to ignore concepts which are unrelated, simply because they appear irrelevant, bizarre or irrational. And the logical mind tends to reject such unrelated concepts. If we use David’s example above, of graphic design for the wine industry, he could explore lateral ideas straight away, with no extra knowledge of the industry; for example, by looking at a grape, noticing its oval shape, then applying that shape in an unusual way, eg by using an image of a grape instead of the letter ‘O’ in a word on a wine label. And I am sure that David could create lots of other graphic elements with no further specialised knowledge. However, by logically examining the subject in depth, David discovers many more facts, shapes, images, etc that can fire his imagination, and which he can then, either consciously or subconsciously, explore laterally. And of course, the in-depth examination of the topic also helps him decide which concepts are most appropriate. Personally, I like to do my creative thinking at two main times during a project: once early on, when I am fresh and quite ignorant of the subject matter, and then again, when I have done the research. This can deliver two diverse sets of ideas. De Bono’s tools can give us some really unexpected concepts, provoking us to consider possiblities that, at first sight, may seem ridiculous. But there’s method in the ‘madness’. When it comes to a logical vs lateral debate on creativity, I like to sum it up this way … whatever works, works. To those of us interested in generating valuable, profitable ideas, the debate itself is of llittle consequence. I find myself agreeing with Melody above in that I don’t think it’s an either/or situation, there is room for both. Personally I find myself bouncing back and forth between the two. Sometimes I find it necessary to educate myself more about a topic in order to generate new ideas, as in “Why does everybody think this way? Why not this OTHER way?” Other times if I’m inundated with information on a topic I suffer from information overload and need to remove myself from the situation for a while. I may find myself in a Weisberg-like situation in that I find myself in a “fish out of water” environment and apply my knowledge to what I think is an obvious conclusion, and those in that echo chamber think what I came up with is brilliant. I really think that by not defining our thinking to one theory or another is the only way to go. Mark, excellent post. Now that we’ve been learning through recent research more about how our brains actually work, I would say that the old vertical, step-by-step thinking, resides in the left side of the brain. The left side if often referred to as our logical side. Thaought this would add to your in-depth report on lateral thinking, Mark. As a Graphic Designer I learned the creative value of Lateral thinking during my college years, the “habits” developed in those early days have never left me. As I advanced through my career I had to develop vertical techniques to combine with The Laterals – The combination of abstract and methodical processes is IMHO essential to survival/success for any (Graphic) designer. My interest is in how we use our brains and how to use them in a constant improvemet manner. One answer lies in the statement that “some people always seem to be having new ideas.” There are some people who are “naturally” more creative than others; the quotes are important. Creative thinking happens when people allow themselves to step outside the normal “rules.” An art teacher friend of mine once told me that all of us are natural artists. We all draw and create and invent until, if I remember his words correctly, we get to about fourth grade. Then, all too often, someone, something, the world, begins systmatically to blow out the flame. I wish I knew how some people escape that and how all of us escape it sometimes. Do you make use of lateral thinking techniques in your work? I work alone but in some ways I do — I do a lot of brainstorming and all of you who blog and write and think out loud here (so to speak) are in my brainstorming group. Not necessarily. I think that creative people have discovered how to balance a three legged stool of expertise, retained talent (that I think we all start with), and beginner’s mind. Is it possible to be outstandingly creative without using lateral thinking? There are many ways to be creative, including lateral thinking. I think Melody makes an interesting observation that it is possible to take both approaches. In truth, the only way to test a correct theory of creativity is to see how individual creative people work. Furthermore, I think the lateral thinking or not is often a question of perspective. Now that I’ve accumulated a larger repertoire of fiction, I can look at my own work, which at the time I produced it did not seem all that “creative,” and see that for someone who has no idea how my head was working at the time, they must think the same. What for me at the time seemed like a very small intuitive leap, for someone else seems like a giant creative leap. But, if I were to go back and map out my “giant creative leap” it would probably look a lot more like a bunch of consecutive “small intuitive leaps.” Of course, some of those connections happened so quickly, and so passingly that I don’t even remember them. So, am I a lateral thinker? I’m not sure. Maybe as Melody says, I’m both. Thanks for the great comments everyone, sounds like the ideal creativity author would be a combination of de Bono and Weisberg! @Graeme — thanks for the excellent description of possible ways of combining logical and lateral thinking. Like the other commenters who talk about combining the two styles, I think you’re onto something. I would say the issue of exactly what ‘works’ is of great consequence to creative practitioners. If de Bono is right, then practising lateral thinking techniques should help us become more creative. If Weisberg is right, we should stop worrying about our thought processes and devote more time to research and practice. And if they both have a point, then we should consider at a more rounded approach. 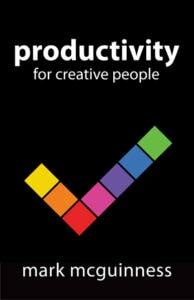 I come across this as a practical issue almost every week, when clients ask me to come into their companies and run workshops on creative/lateral thinking to ‘make people more creative’. There’s an unquestioned assumption that if you want to boost creativity, you need to teach creative thinking techniques. It can be very hard to get people to (ahem) think outside the box and look at a more holistic and practical approach to fostering creativity. De Bono’s example of lateral thinking with the engineer and the physiologist is flawed. What he is describing is a chance match between two different disciplines which happen to overlap at that particular juncture. No doubt the engineer had some basic knowledge of kidneys to recognize the problem he was solving. What if the engineer had been a shoe maker instead? How lateral would he have to think to relate a shoe lace to kidney tubules? Creativity requires a good foundation of knowledge and experience to take advantage of what Melody calls opportunity to recognize one when it presents itself. Lateral thinking does not work in a vacuum. even when it comes to art? and what about the non-sense of Mouty Phyton and movment dada of duchamp? What about it? I’m not clear what you mean. It’s interesting that Weisberg cites Darwin, when the law of natural selection – blind variation and selective retention – is also the principle behind brainstorming and corresponds with de Bono’s lateral and vertical thinking. @Judy – Yes, like so many of de Bono’s examples, if you look carefully the chance element is in the external event, not randomised thought processes. @Chris – Brilliant Darwinian analogy! You might be interested in my take on de Bono and Darwin here – I’m critiquing de Bono’s view of Darwin, but of course that doesn’t invalidate your excellent analogy. Lateral thinking is a creative process, but it is not a creative solution. I don’t think that was the original intentions of Bono. Lateral thinking will take you many places quickly, but logical thinking, research, and everything Weisberg suggests is needed for a viable workable idea. I have read most of de Bono’s books, been influenced by the thinking in them, and thoroughly enjoy reading them and the Aha! moments they bring. I have memories of similar experiences when watching him on TV years ago. In particular I have mind-mapped my way through Serious Creativity and often tried to use the techniques it describes. But it is hard for me to say that they have really worked for me. It’s a paradox. Maybe his work could be described as “thought-candy”.